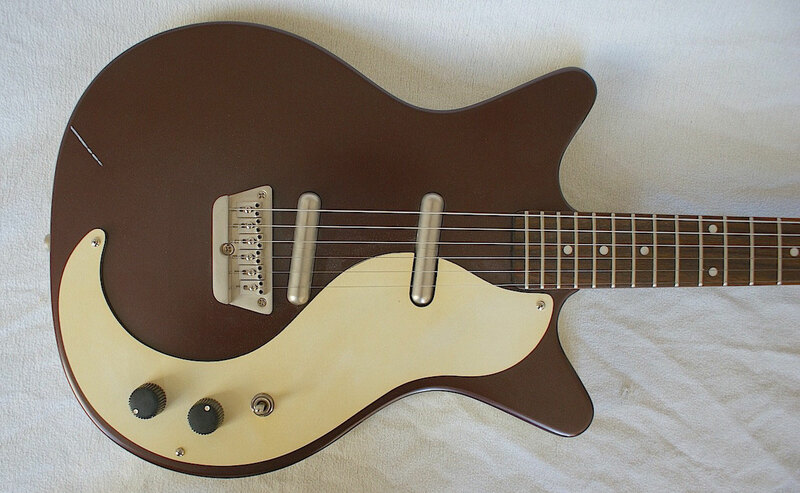 DANELECTRO DC-3 (re-re-re-re- issue (?) 2000s) - guitarfritzs Jimdo-Page! This reissue came with the wrong headstock shape. The original "coke-bottle" headstock looks divine...this one doesn`t. 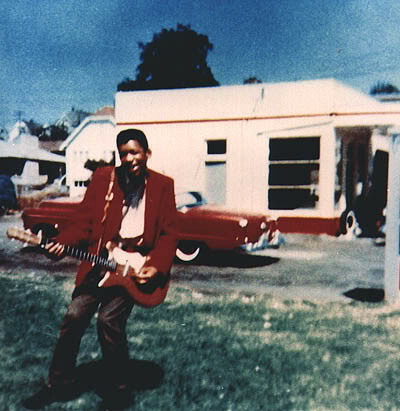 Who is that guy with the Danelectro? 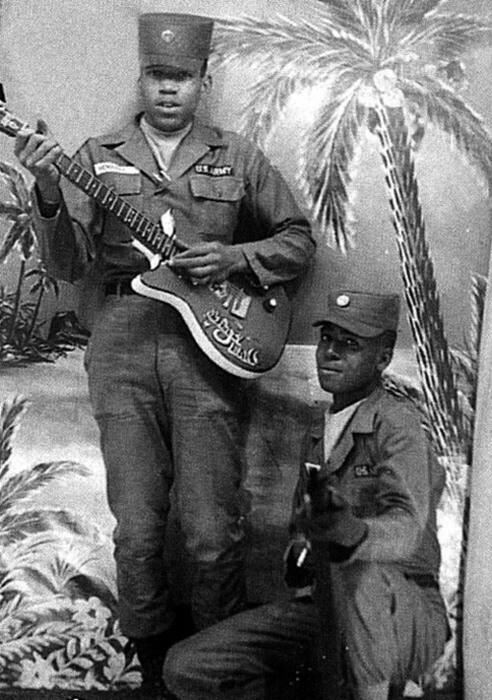 it was a Danelectro-made Silvertone and thanks god he didn`t stay in the army. He had a better way to conquer the world! this could be a guitar just like the one Jimi played. Sooooo beautiful and so cheap! in the middle position the lipstick siglecoil pickups are wiried in series. 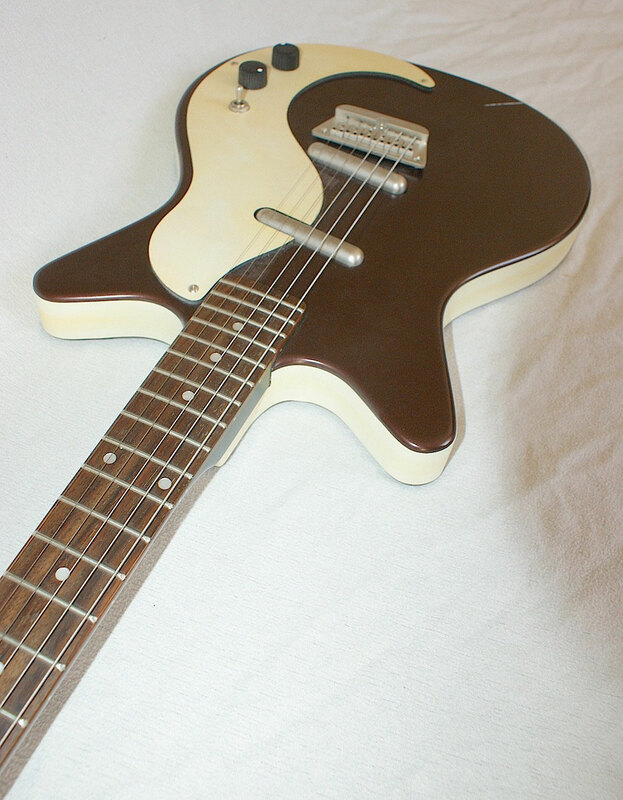 The Danelectro DC-3`s beautiful pickguard shape inspired me to design my "Stratmann 2" guitar`s pickguard like this.